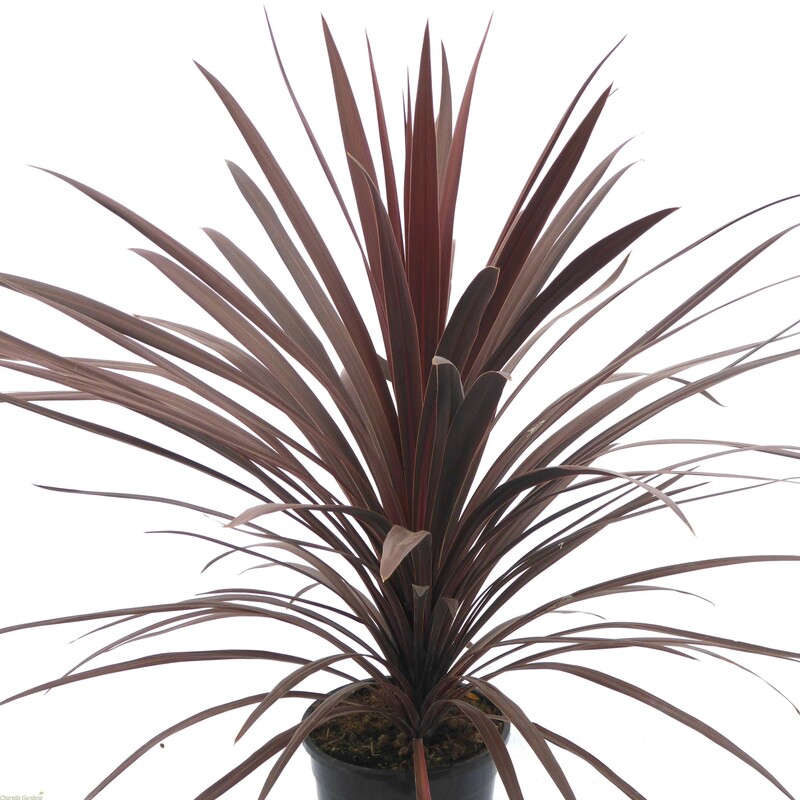 Cordylines are focal plants with an upright and palm like appearance. The swordlike strap leaves create a tropical look, yet these 'Torbay Palms' are fully hardy. They flourish in full sun to light shade and prefer good drainage. It is a fantastic plant to grow for creating stylish focal points around the garden, and also as a centrepiece in patio planters. Fragrant white flowers bloom on clusters on mature plants in late spring. Drought tolerant, and great in pots. Red Star has fantastic burgundy-red foliage and is a great plant for use in the centre of patio planters or for a tropical jungle themed garden. 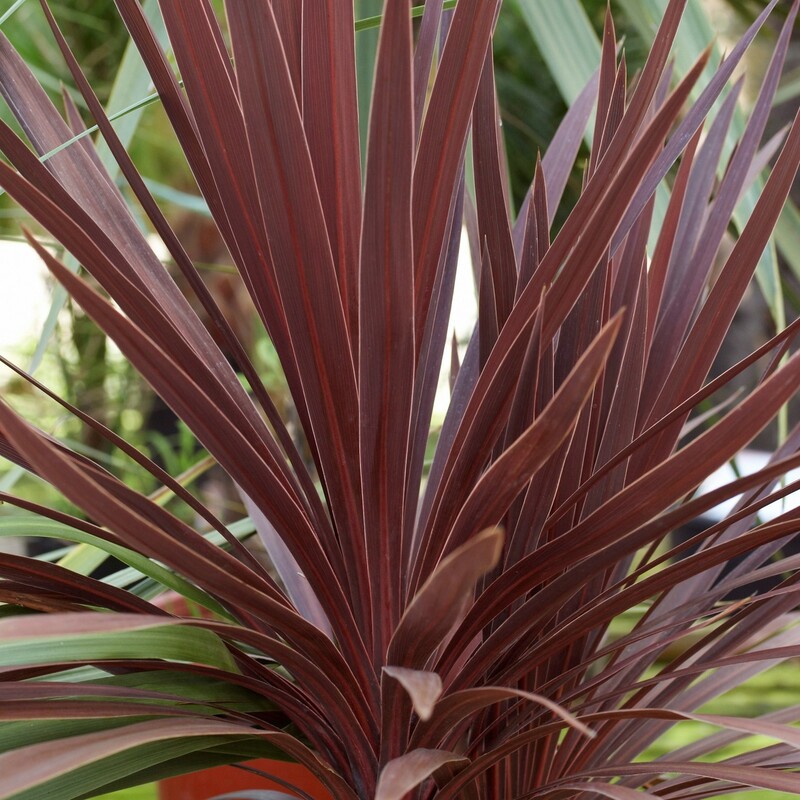 Also known as the cabbage palm, the striking foliage is arching burgundy-red and looks very dramatic. A compact variety, it does particularly well in pots on a patio, though it can also be used to accentuate taller more flamboyant plants if desired. It will thrive in a bright spot in free draining soil. Supplied in approx 7.5 litre containers at around 120cms tall. A Perfect centre piece to patio planters all year round.